One of my favorite writers, Gretchen Rubin, has a secret of adulthood: Don’t let the perfect be the enemy of the good. This is my second day of ugly snacks for my daughters. 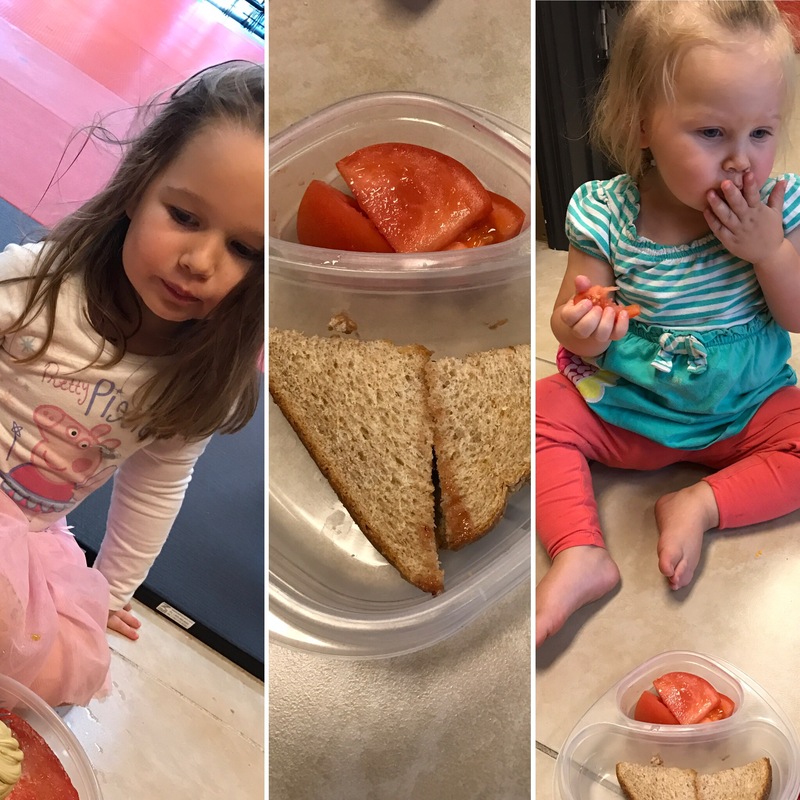 Today, we have sliced up tomatoes and half a sandwich – I cut it into triangles, as a nice touch! So when you’re making snacks and you don’t have a lot of time, don’t fret. The snacks you prepare are going to be more nutritious and have higher quality ingredients than a processed alternative, and even if it’s not perfect, it will still be pretty good.